The comics blog of Jeff Zwirek. 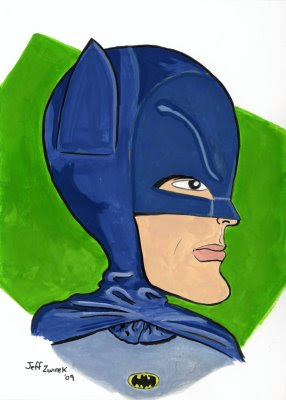 And Adam West as Batman, from the madcap 60's Batman Television show. The Purple Pie-Man and his pet Cat? And I'll form the head!